Relief parapet from the Nike Temple. One of the parapets that flanked the three sides of the area around the temple of Athena Nike. 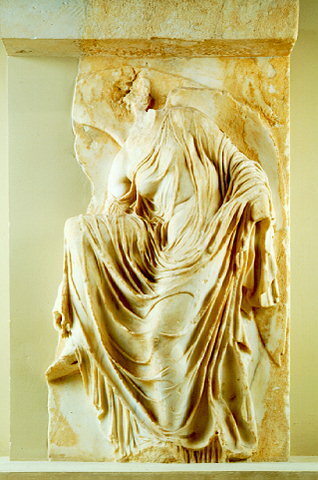 Young Nike is shown with her wings half-stretched, bending to bind or unbind her sandal. Dated to ca. 410 B.C. Inv. no. 973.